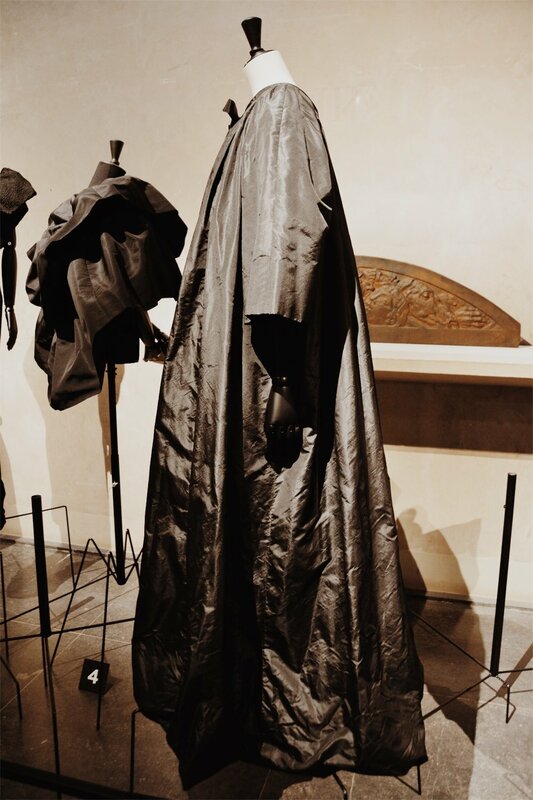 I had an honest to goodness spiritual experience at Balenciaga, L'oeuvre au Noir, or Work in Black, an exhibit of some of Cristóbal Balenciaga's designs in black. The exhibition is described by the curators as follows. The aim is to suggest a reassessment of the great couturier’s work. 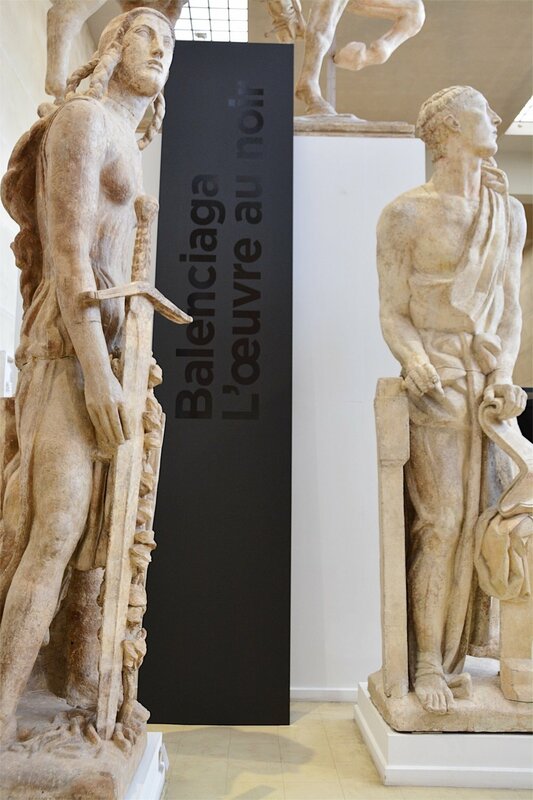 In resonance with Antoine Bourdelle’s sculptures, the exhibition hopes to convey an understanding of how Balenciaga’s artistry exploited fabrics, embroideries, and black lace and by what alchemy these elements became clothes. 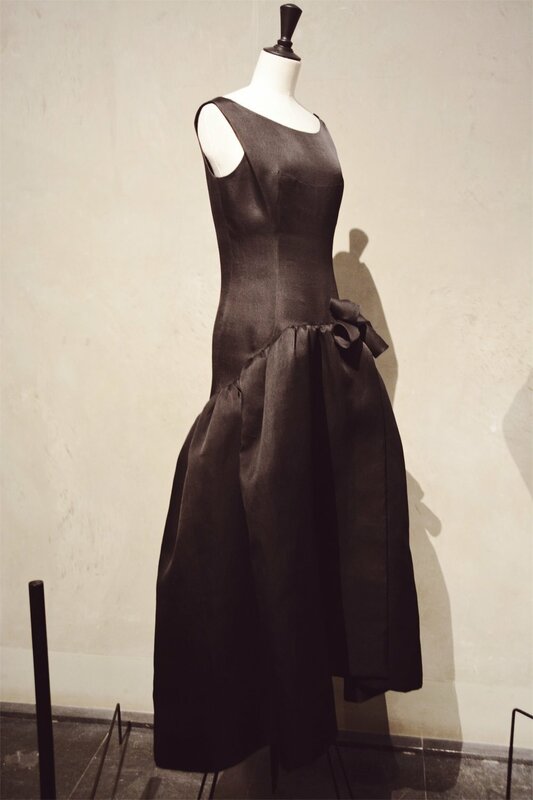 From the never-before-seen prototypes in pattern fabric - an unusual blackness - to the most abstract models from the recent collections, Balenciaga’s use of black resounds as if he had abandoned colour and all artifice in order to keep only the essence of the volumes. Anytime I go to a fashion exhibit, I think about the relevance of clothes hanging in a museum. Sometimes they are significant because of the wearer, which, incidentally, says a lot about how important our clothes are when we use them as artifacts to remember people. In this case, they are significant not because of the wearer but because of the designer, who was in instrumental force in shaping women's fashion in the 20th century and beyond. So we appreciate the clothes as a way to appreciate the man. 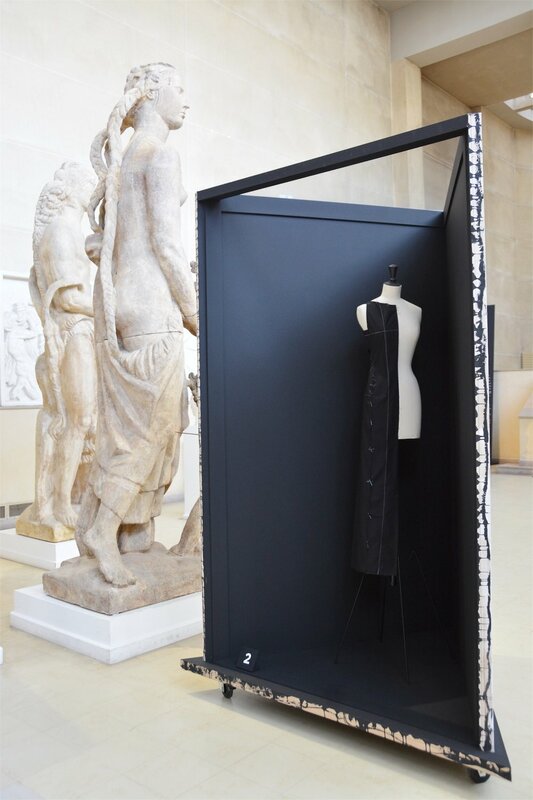 But, beyond that, how relevant is the actual clothing in an exhibit to our lives? Can it help us get closer to our own personal sense of style or our relationship with our own clothes? After soaking in this exhibit and thinking about these questions, I think there's a lot we can apply to our quest for personal style. First of all, there's the fact that clothes matter, even half a century later. They are markers of a society at a moment in time. We might be able to read about what society expected of women's appearance at that time, but here we see those ideas depicted visually; assumptions and norms, standards and roles are literally threaded into a garment. 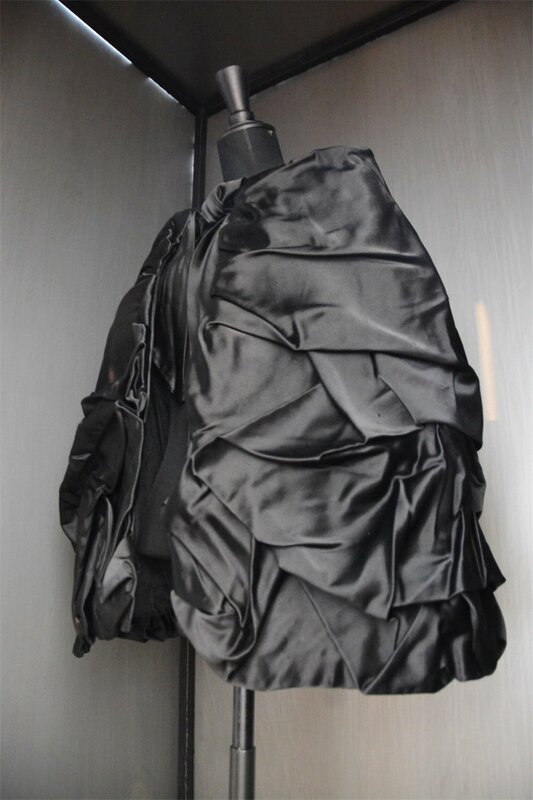 Then there's the idea that clothes, when made well, are a form of art to be appreciated, enjoyed, marveled at. I kept thinking about how many pieces in my closet someone might be compelled looking at decades later. Finally, there's the fact that clothes tell personal stories. Whether they are illuminating our understanding of the wearer, or the designer, they are a gateway deep into our personhood. So when it comes to cultivating our own unique sense of personal style, why not apply a museum curator's eye? Why not ask the questions: how would we use clothes to remember this person? To celebrate their life? Which pieces would be relevant fifty years later? Which pieces would hold our interest hanging in a museum? I'll be asking myself those questions, and curating my closet accordingly. Thanks, Balenciaga. 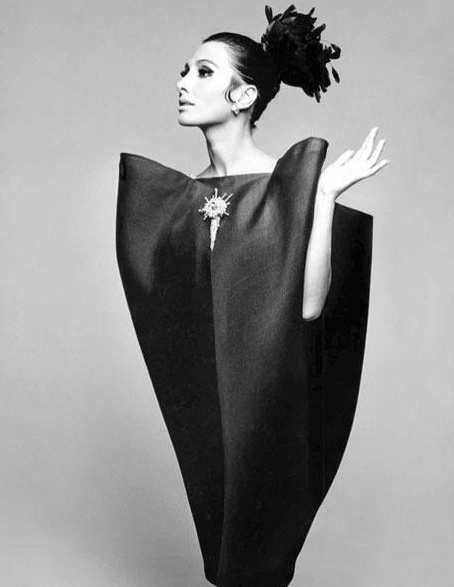 Two of Mr. Balenciaga's iconic designs from 1967.